Living in a world that streaming is the norm, having a DVD player makes little sense. After all, watching movies, and TV programs are getting more convenient and easier than usual with physical DVD discs. And it’s getting common for people to watch movies on tablets, smartphones and desktops nowadays. While the absence of DVD hard drive blocks DVD movie collections outside the door of such devices. Then why not rip your DVD collections to digital formats? 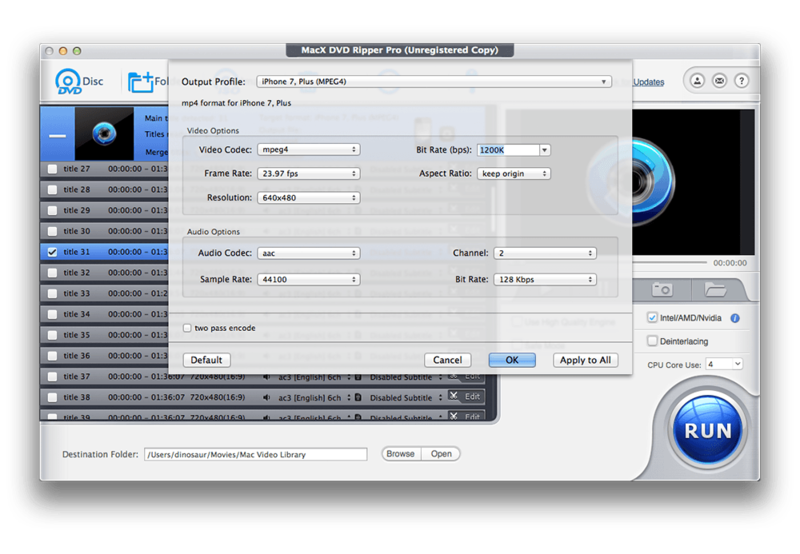 MacX DVD Ripper Pro is precisely a nice DVD-to-digital software that could pull the job off easily with high speed. And you're lucky enough to savor your DVD collections on the way to summer vacation with MacX DVD Ripper Pro for free! Just visit MacXDVD contest page, share the activity on Facebook and you have a 100% chance to win a MacX DVD Ripper Pro license key for free. It will be continuing until August 20, 2018. Grab the chance to rip DVD to digital videos absolutely free. Apparently, MP4 comes a format that the vast majority choose to convert DVD discs to, for its smaller space occupying, wide compatibility for iPhone iPad Android, easiness to store and manage on computer and USB, and suitability for streaming over the Internet. Then here comes the issue, how can you rip DVD to MP4? MacX DVD Ripper Pro makes it never been easier with impressive features. 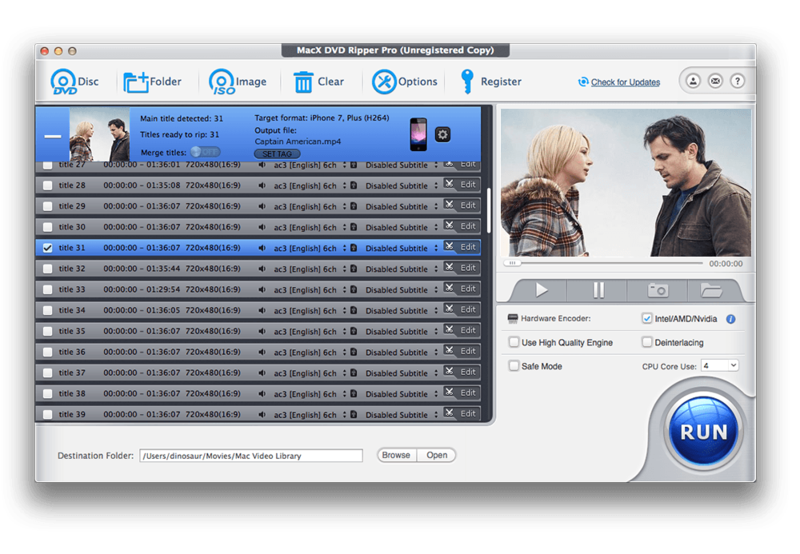 MacX DVD Ripper Pro accepts all kinds of DVD discs, no matter the recently released DVD movies, kids Disney movies, TV series DVDs, homemade DVDs, 99-title DVDs, workout DVDs, and other old damaged or unplayable DVDs. Apart from ripping DVD to MP4, MacX is able to convert DVD to all general purpose video formats like MOV, H.264, HEVC, AVI, MKV etc. And the preset profiles for common devices also allows you to transfer DVD to iPhone, iPad, Android easily for playback anywhere anytime. The fastest speed is another reason that MacX goes superior. It's the first and only DVD ripping tool which supports the unique Level-3 hardware acceleration currently. It means that when you're ripping DVD on Mac, the DVD to video processing will be moved from CPU to Intel® QSV, Nvidia® (CUDA/NVENC) and AMD GPU, which boosts the running speed greatly, merely 5 minutes only to rip a full-length DVD at a maximum speed up to 320FPS. 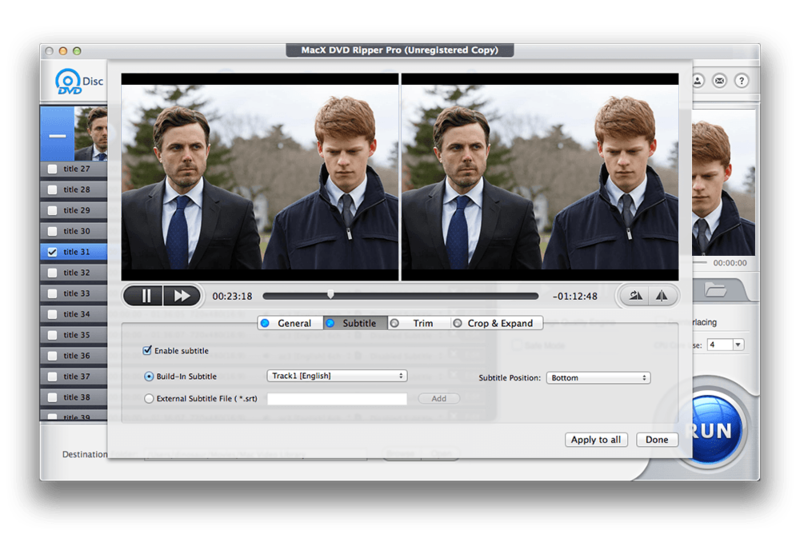 You can also edit DVD movies with MacX DVD Ripper Pro easily, such as trimming video clips or segments from DVD, cropping frame size to adapt difference screens or aspect ratio, merging separate titles into one, adding external subtitles to movie and enhancing video quality by adjusting parameters like resolution, frame rate, bit rate, etc. Step 1: Free download the program and launch it. Insert the DVD disc to DVD hard drive and click "DVD Disc" button to load your movie. Step 2: Go "General Profiles" > "MP4 Video" > "Done" to choose output format from the automatically popped up window. Step 3: Tap "RUN" button to start ripping DVD to MP4. It's worthy noting that if your computer supports hardware acceleration, the box of Intel/AMD/Nvidia is auto ticked on and the unique Level-3 hardware acceleration will be auto activated. Thus about 5 minutes or so, your DVD disc will be digitized to MP4 without quality loss. Do not hesitate to take part in the MacXDVD contest and convert your DVD movies to MP4, iPhone iPad Android totally free. Thus you can pocket your DVD collections to enjoy on the way to summer holiday!